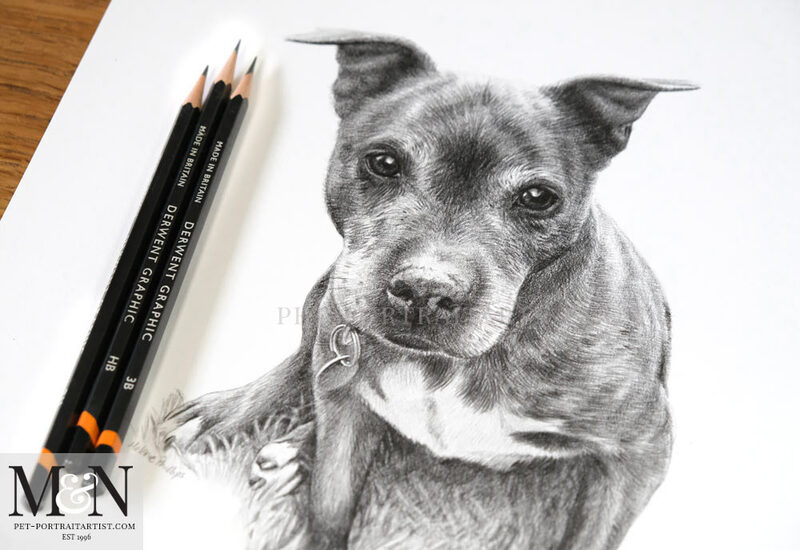 Welcome to my latest dog pencil drawing of a gorgeous dog called Stormy. 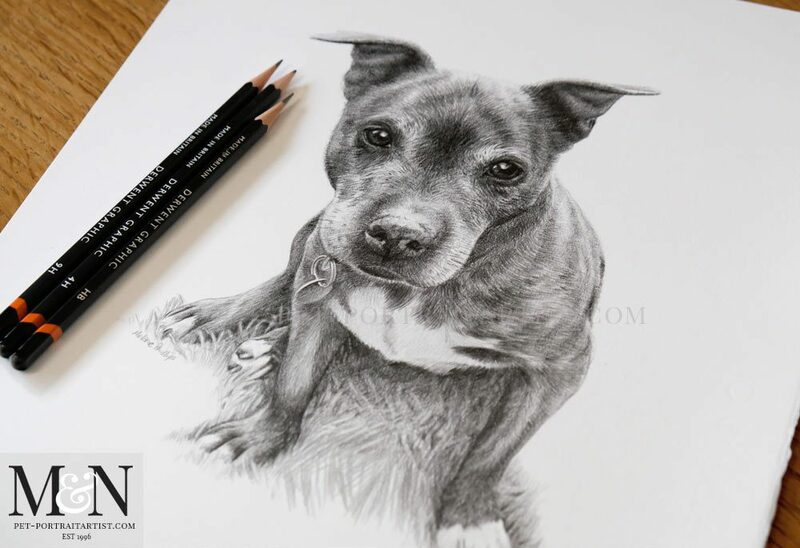 The portrait was commissioned by a lovely family here in the UK. I spoke to Mike on the phone a number of times making the arrangements. 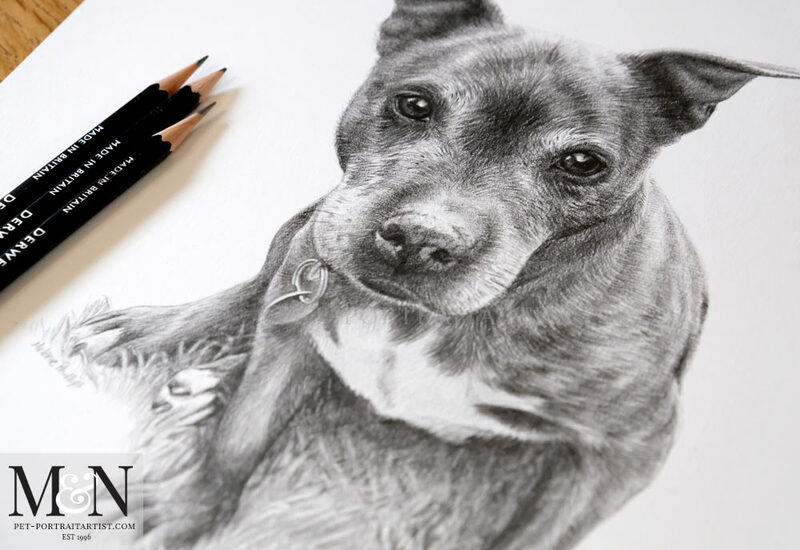 Sadly Stormy is no longer with us and so the drawing will be such a lovely reminder for all of the family. 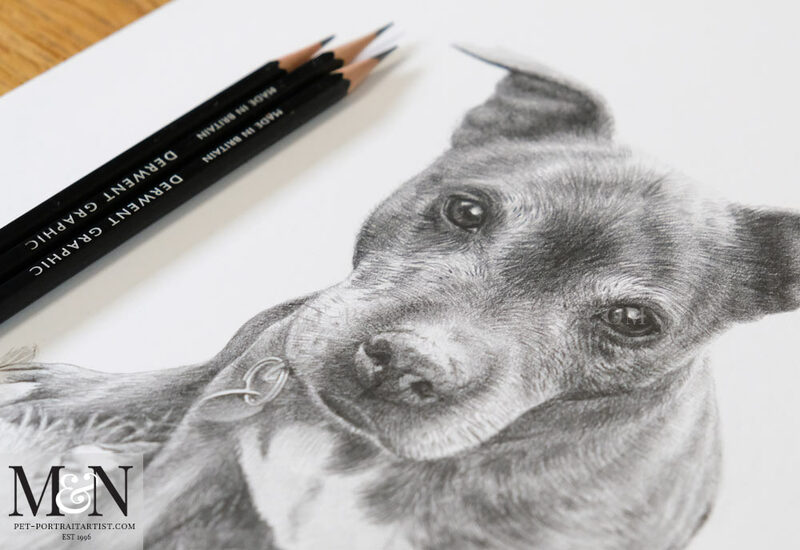 I drew Stormy at 12 x 10 size, traditionally hand drawn by myself, Melanie and as you can see from the photos below, the portrait was framed by our lovely framer Amanda. We also commisioned our engraver to create a silver polished plauqe to complete everything beautifully. I really hope you enjoy viewing the photos below! Storm arrived safely and everyone was stunned by the likeness it’s as if she had walked through the door again. We have revised where we put her so I hope we have her in a place where she can see what’s happening and to time it right to come for a titbit if anyone’s eating. I have taken a couple of pictures but hope to get better ones when the light is brighter on a sunny day. Once again thank you for a wonderful likeness. 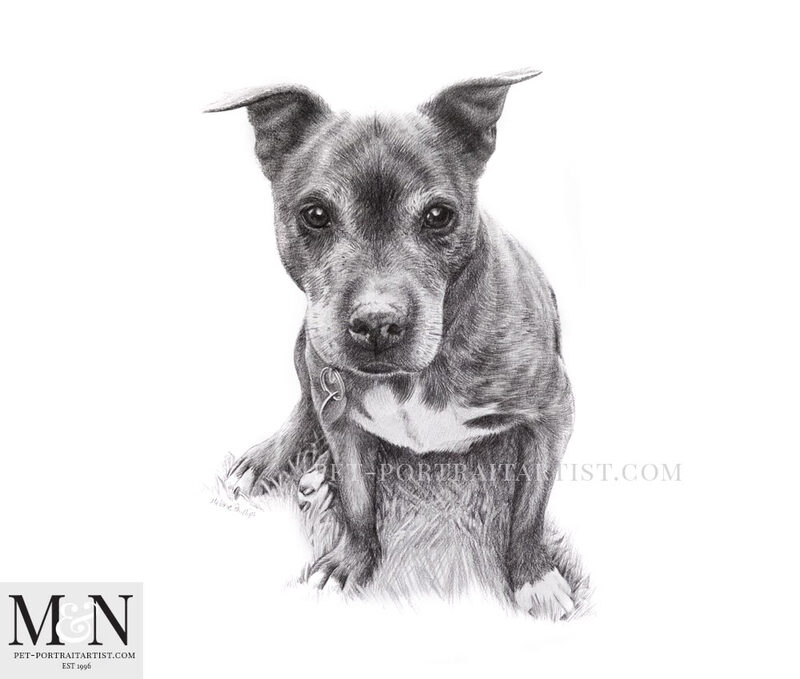 Here are a few photos of the portrait of Stormy all framed. 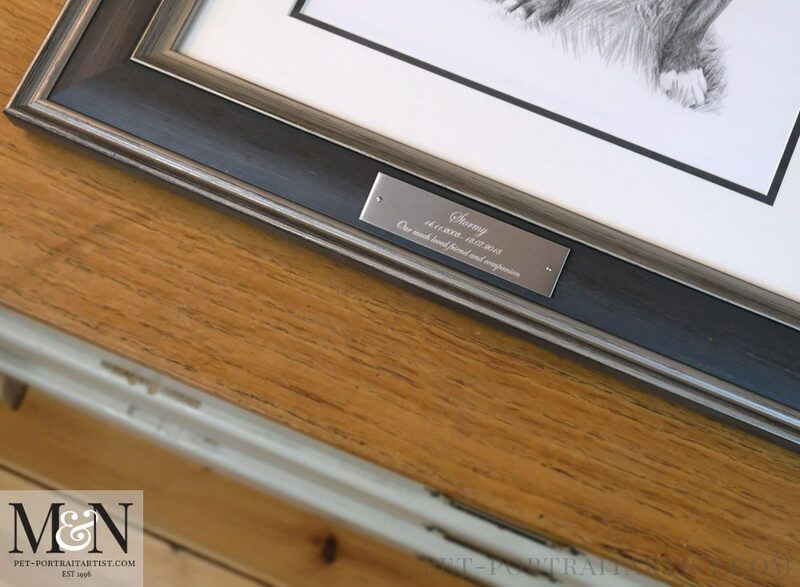 We used the Madison Slate frame along with a beautiful engraved silver plaque. Arent they beautiful! 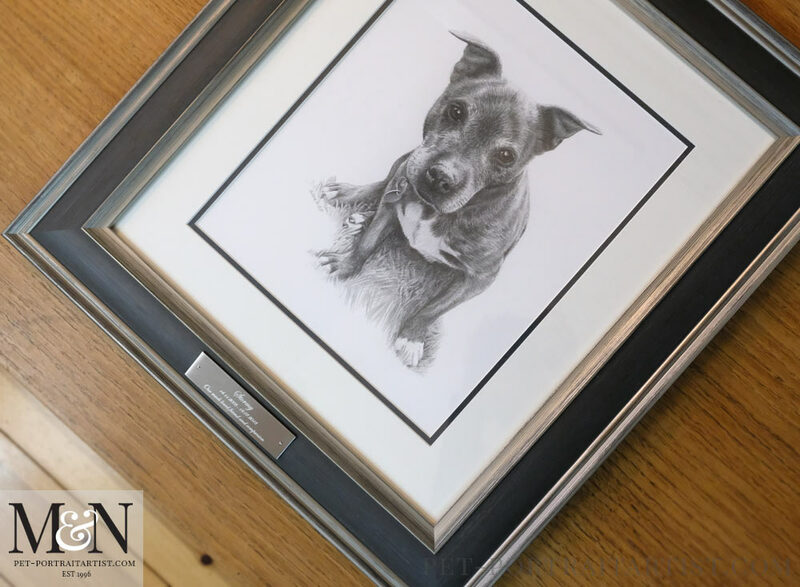 The Madison frame is one of our favourite frames for the pencil drawings, especially with the lovely dark colour mount accenting between the cream mount and the frame. It really sets off the drawing so well. The silver polished plaque is gorgeous. 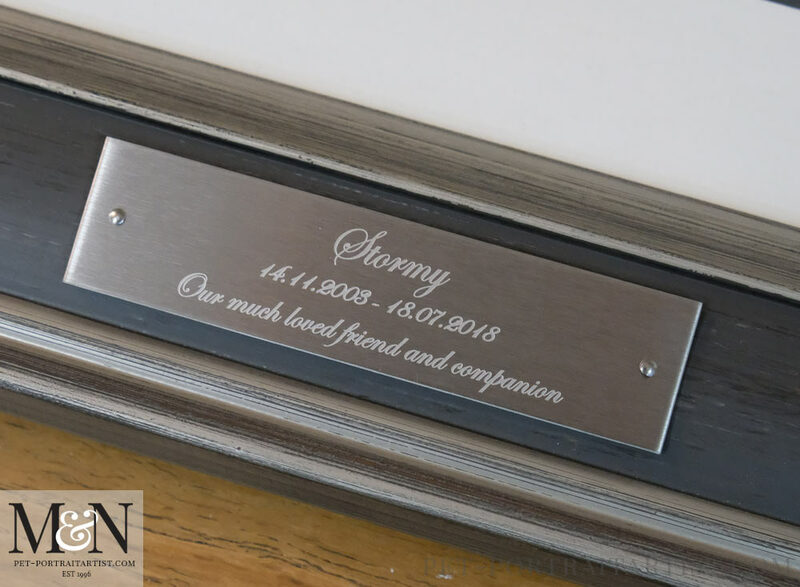 Our engraver used a script font which works beautifully for Stormy s plaque. We hope that you all like it as much as we do!